One can select database file from the left panel of the window. The MDB file Viewer tool can quickly scan & load the file. Then, you can preview the table contents instantly. There is no size limitation on the size of MDB database file. You can load the database file of any size. With the help of MDB Viewer Tool, one can open & read MDB File whether it is in the healthy or corrupt state. Somehow, if you are unable to view the database in MS Access then you can use the application to scan, repair & open Access MDB database file. You can open and read Access MDB database file without installing any supportive application. There is no need to install MS Access to view the contents of the database file. 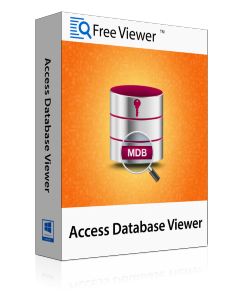 MDB Viewer is a standalone application with no external applications to run & read MS Access MDB file. There are a number of features which are provided by Microsoft after Access 2007. Such features include attachments in database’s new format as well as you can use multivalued fields in the database. Access MDB Reader tool allows you to view new features at no cost. MDB File Viewer allows you to preview all the contents of the selected database. It displays completely on the right-hand side preview panel. All the consisting tables are displayed on the left panel and data inside the selected table can be viewed on the right panel. You can also switch from one table to other. The GUI of the MDB Viewer software is very easy to handle. It is very simple for both technical as well as novice user to open & read the database file on Windows platform. 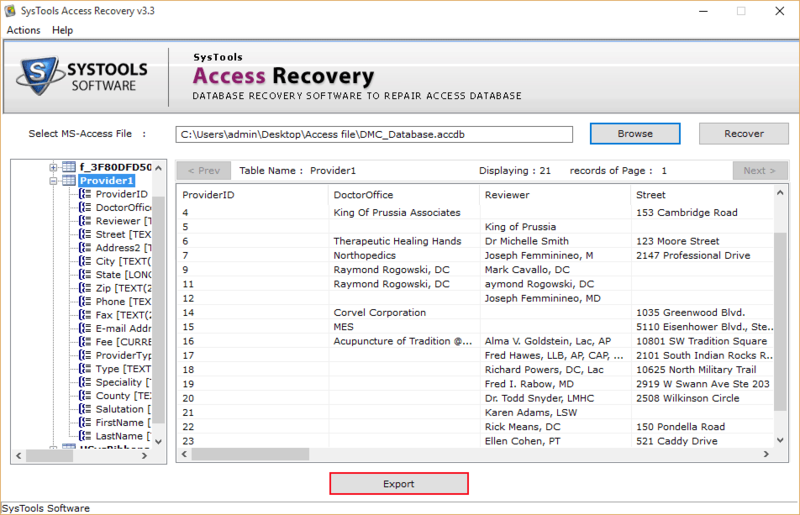 One can scan damaged MDB file and after repairing view the contents of the database file with all the tables. 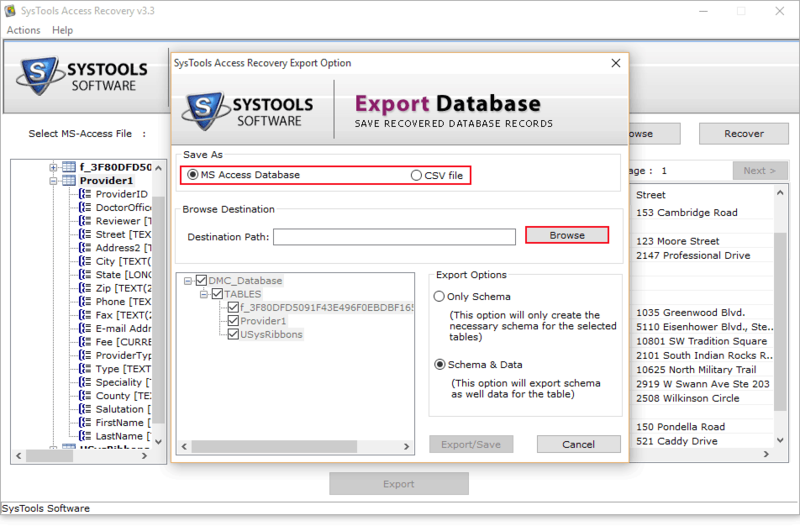 The MS Access MDB Database viewer is bundled with numerous features that can help a user to view even the corrupted database file in a very simple manner. If you are unable to open the MDB database file in MS Access, then it is possible that the file is damaged. Then with the help of this application, you can load, scan, repair and view MDB file easily. The software allows you to view all the contents of the database file like tables, queries, forms, reports, macros, etc. MDB Viewer Tool is compatible with Windows 10 and all the below versions like Windows 8.1, 8, 7, XP, Vista, etc. The software supports different versions of the Microsoft Access like 2016, 2013, 2010, 2007, 2003 and database MDB files created in it. 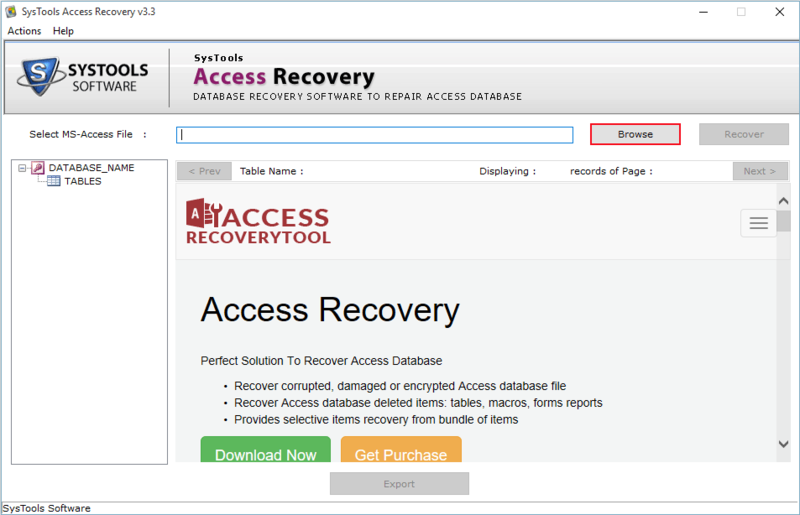 It is a standalone application that can open .mdb files without installing MS Access in the system. What is an .MDB file? It is a file in MS Access for storing the data like tables, forms, macros, reports, queries, etc. It consists of all the MDB database items. According to the new features in it, one can add attachments and use multivalued fields that can be easily integrated with SharePoint or Outlook. Explain how the MDB Viewer Tool works? Step 2: Browse the MDB database file from the saved location. Step 3: Scan the file and load the recovered MDB file. Step 4: You can view all the tables on the left-hand side and switch within tables to view the contents on the right panel of the window. What versions of MS Access does this software support? The MDB File Viewer tool is compatible with Microsoft Access 2007 and all the above versions like it includes 2010 and 2013. My Access databases got corrupt will I still be able to view the data? Yes, MDB Viewer tool works on corrupt data as well and in most of the cases, you will be able to view your Access MDB format data instantly as it recovers the damaged data and shows the preview of data. Does this software show the schema of the database file or contents within the file? 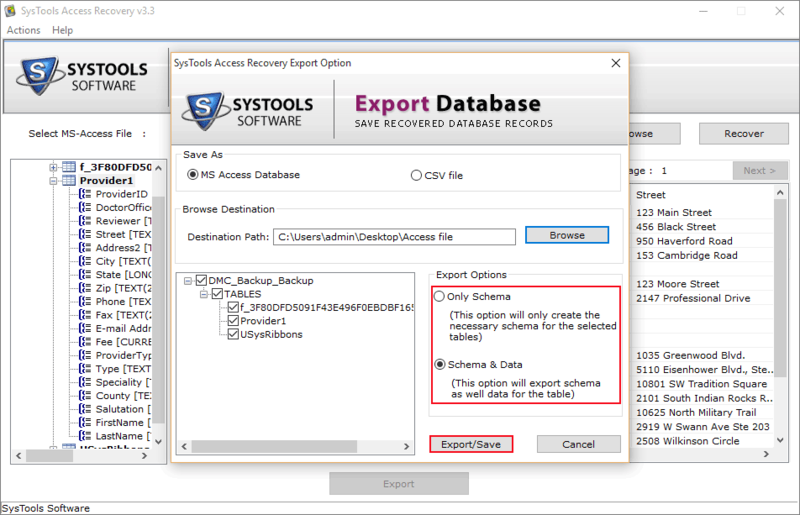 The Tool in enough capable that it allows you to open the database file. You can view the structure or the schema of the file in terms of tables on the left-hand panel of the window and contents within the tables on the right-side panel of the window. Is it easy for a non-technical user to work with this tool? Yes, definitely. The interface of the MDB Viewer tool is quite easy that even a user from the non-technical background can easily understand and work with this software. "The MDB Viewer tool developed by your organization really works for me. A few days back, my Access application has stopped working. I don’t know how but I have to open & view MDB database file. At that time, I used this software and it helps me a lot in such a difficult time. " "It is a simple and an amazing tool. I am impressed with the simplicity as well as the smooth working of the application. The MDB File Viewer Tool can easily scan and repair corrupt Access MDB file that makes me able to view all the database table without any data loss. " "My experience of working with this software was great. I was creating a project for my office and suddenly the database got corrupt. It was an emergency to open & view the data of the file. Then one of my colleagues suggested me for this tool. MDB Viewer Tool really works for me. Thanks!" "I used MS Access for storing data for the daily purpose. I have updated MS Access new version and then I noticed that I am unable to access my files in that version. I got scared of losing my data and then one of my recommended FreeViewer MDB Viewer Tool to open & view the files. And that’s how I accessed my data."